I always keep protein balls/bliss balls in the fridge for a snack on the run or if I want a sweet fix after dinner. 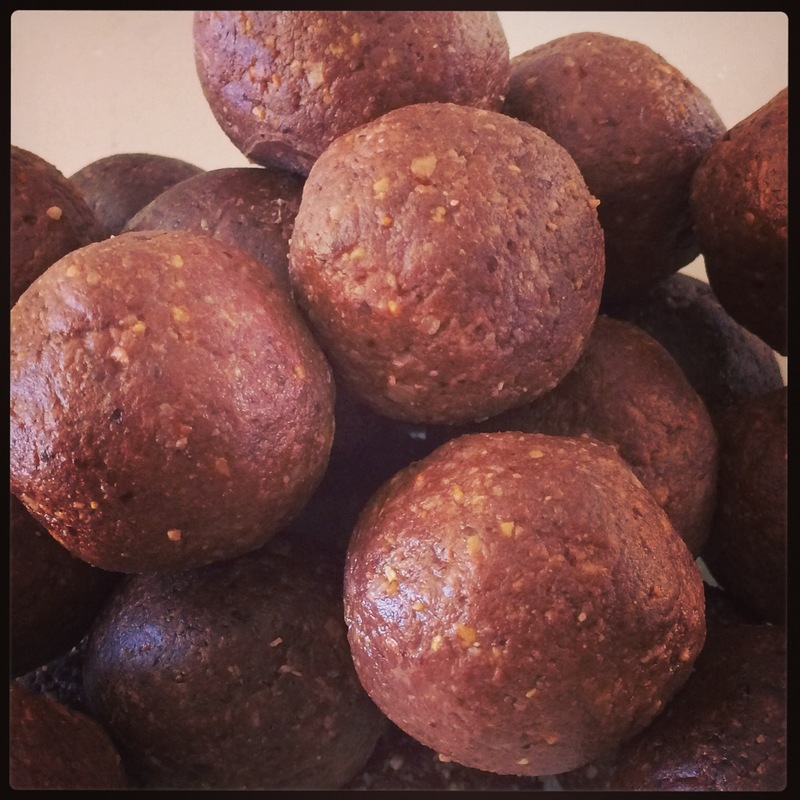 I came across these Bee Pollen Balls a few months ago and they have hit the top of the list – I love them! The health benefits of bee pollen are amazing. Bee pollen is richer in proteins than any animal source and contains more amino acids than beef, eggs or cheese. Click here to read more of the amazing health benefits of adding bee pollen to your diet. The original source of this recipe can be found here however I have converted the recipe for Thermomix. Place all ingredients into your thermomix and blend for 10 – 20 seconds on speed 10. Scoop out mixture and roll into balls (I always use disposable gloves for this) and then roll in coconut if desired.